Featherweight prospects Luis Rosa Jr. and Yuandale Evans worked out for the media today at the Thurgood Marshall Recreational Center in Cleveland, Ohio prior to their ShoBox: The New Generation 10-round main event matchup this Friday, November 10 live on SHOWTIME (10 p.m. ET/PT) from The Masonic Temple Live Cleveland. 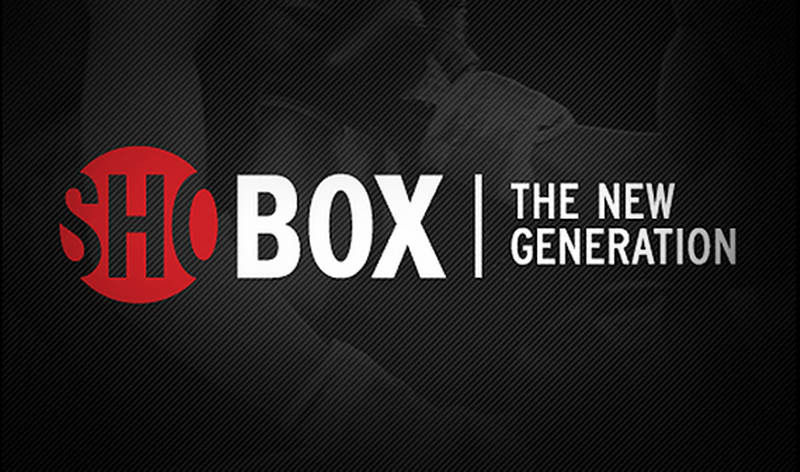 The ShoBox quadrupleheader features undefeated Russian standout Radzhab Butaev taking on Colombia’s Janer Gonzalez in an eight-round welterweight matchup, and New Zealand’s undefeated Junior Fa facing former Golden Gloves champion Fred Latham in an eight-round heavyweight bout. In the telecast opener, decorated fighter Charles Conwell will take on Roque “Rocky” Zapata, who is coming off a three-bout winning streak. In addition, the 2016 U.S. Olympian Conwell and local Cleveland fighters Willie Nelson and Isaiah Steen worked out in front of the media Wednesday. Tickets for the DiBella Entertainment event are still available for purchase at the following link HERE. “Yuandale’s a solid, tough fighter. He’s got good pop, but I’m ready for everything, I’m here to win. “He wasn’t really on my radar, he sort of came out of the woodwork. We’re looking for a world championship and this is a step closer. “I have no problem coming to Cleveland. I want to be a world champion, not a state champion or the champion of one country. I’ll go anywhere and be victorious. “Boxing fans can expect a powerful, fast, smart fighter. I’m the full package. I fight with both hands, we’ll see if he can take it. “I know that he’s a Puerto Rican at heart. He’s a strong fighter that comes forward, a good body puncher. But he doesn’t have any boxing skills. He’s just a banger who keeps coming forward. “Defensively, he leaves himself open with his aggressiveness. “He was not on my radar. I’ve wanted to fight much tougher guys, higher-ranked guys. But once the fight was offered, I said yes. “I want to fight Carl Frampton, Leo Santa Cruz, Gary Russell Jr., and a rematch with Javier Fortuna. I want to fight all the top guys because that’s where I belong. “It feels great to be fighting at home, it’s been a long time. I just want to give back to the city and community for them supporting me while I’ve been on the road. Even when I was an 11-year old amateur, they supported me. “It means the world to me that I can fight at home and show everyone what they’ve been missing. Last time I fought here [in Cleveland] was in 2015. “I know Rocky is a tough fighter, he’s beat a couple prospects and he’ll be coming to win. “I’ve heard from many of my Olympic teammates this week and I’m excited to show them how I look as a professional. I’m looking forward to showing my skills to all the boxing fans around the world. “It should be an entertaining, good fight. I’m ready to go and hopefully close the show early. I’m ready for all six or a first-round knockout. “I know a lot about Alexis Hloros, so no issue being a late addition as an opponent, I’m ready. “I haven’t fought in Cleveland since 2009. I love being able to fight at home. It means a great deal to me. “I know Nunez is a very strong, come-forward fighter, but he’s got no chance on Friday night. “Last time I fought in Cleveland was as an amateur, three or four years ago. “I feel no pressure at all fighting at home. I’m thrilled to be fighting at home. “Charles and I spar all the time helping each other. He’s like my little brother. We make a great team.